Until recently it could be considered as one of the most impressive but less known natural gems of Catalonia, its fame has lately grown a lot and it is no longer the solitary place that it must have been in other times, so you only have to choose the time and the day to locate your audiovisual project here. 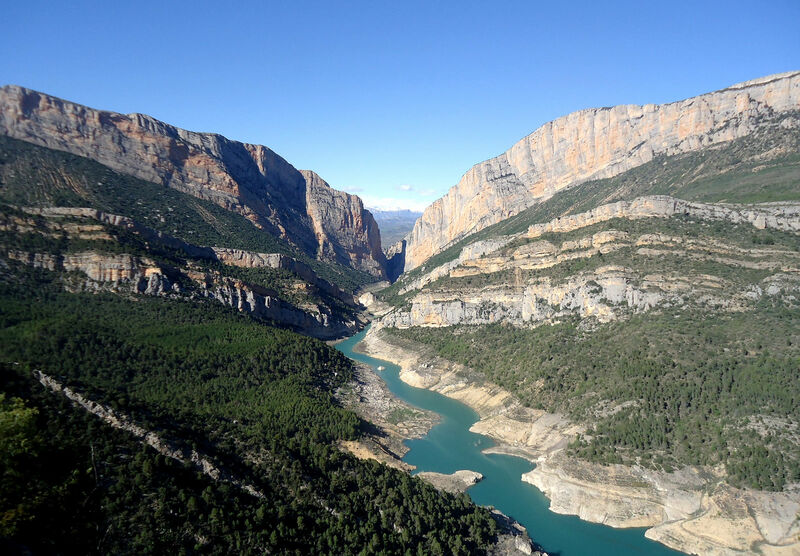 The Congost de Mont-rebei is a gorge formed by the river Noguera Ribagorçana as it passes from north to south the Sierra del Montsec. 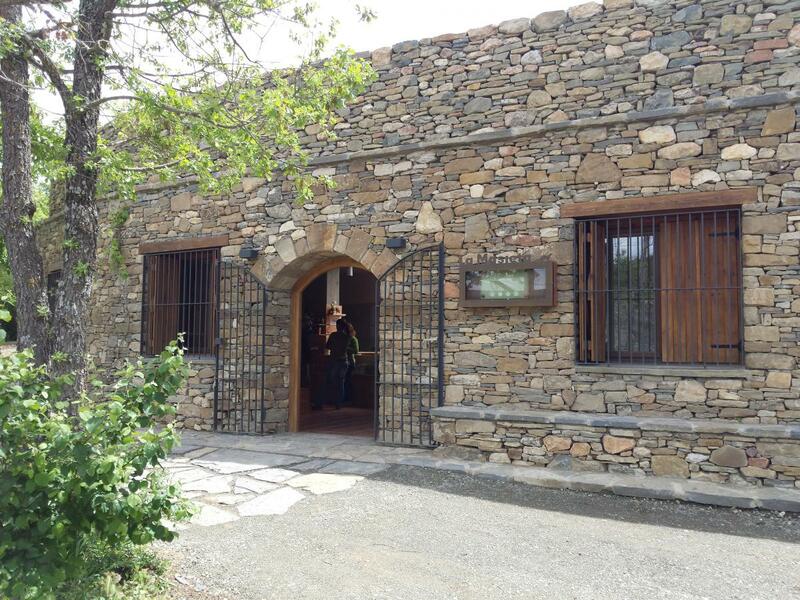 It is located between the regions of La Ribagorza (Aragón) and Pallars Jussà (Catalonia). A path excavated in the rock allows you to travel the entire canyon to the edge of the cliff and to get spectacular views for a photographic shooting or audiovisual production. 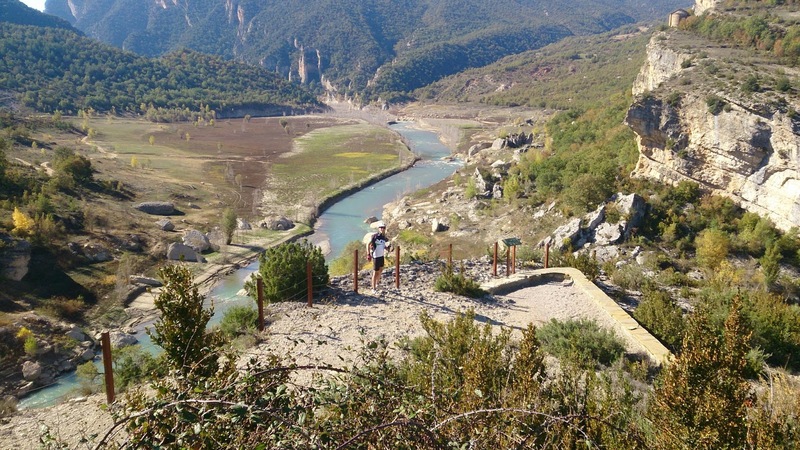 The gorge that stretches for 2 kilometers has, in the most vertiginous points, cliffs of up to 500 m. Handrails and banks have been arranged alongside the route. 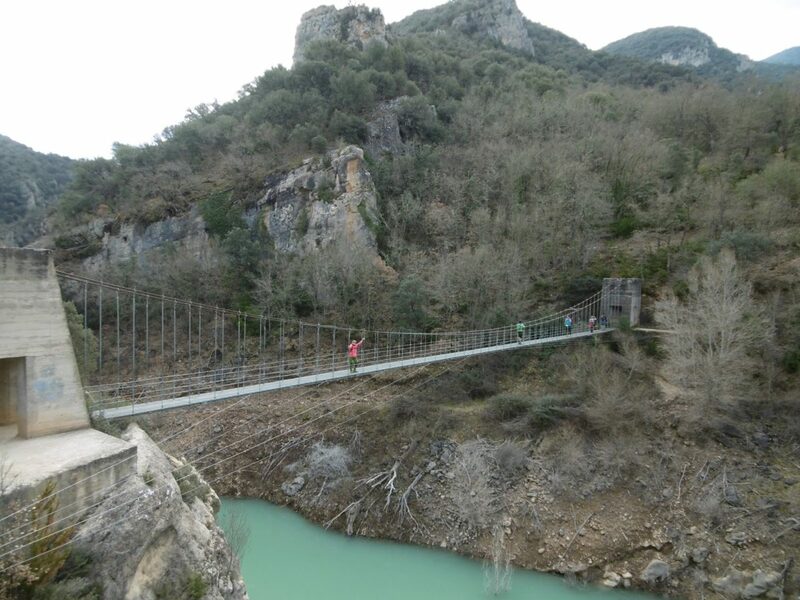 The main attraction, besides the eternal landscape, is the suspension bridge of the Barranco de Sant Jaume: with 40 m of vacuum under your feet. Start of the route in "La Masieta"
The route starts from the Masieta car park, the entrance door to the Congost de Mont-rebei reserve. 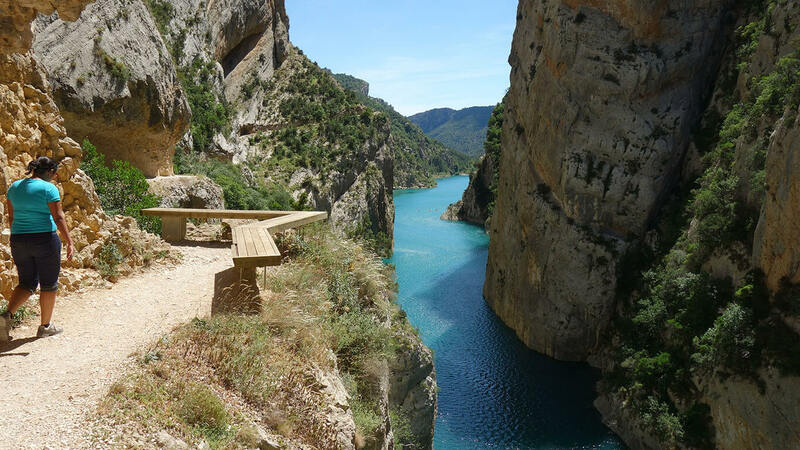 As soon as the road starts, it forks, and gives you the option of taking the path of the reservoir, or through the Camí de les Tarteres. You will have to choose, for your audiovisual production or photographic shooting, depending on the weather conditions, since the first route is flooded when the swamp is full, while the second takes a detour to circumvent it. We can enjoy a panoramic view of the whole of the reserve from the natural viewpoint that shows the curve of the track above the Noguera Ribagorzana river, and that leads to Alsamora just before reaching La Masieta, where you can see not only the rapids of the river before to entering the gorge, but also the hermitage of the Virgen del Congost and the castle of Xiriveta. Several locations with very different landscapes to locate your audiovisual project. We will follow all the white and red marks that will take us to the Sant Jaume ravine, where we will find one of the most emblematic locations of the place for your photographic shooting or audiovisual production, the suspension bridge that allows us to cross it. Then, in five minutes, we will be between the limestone walls of the Congost. 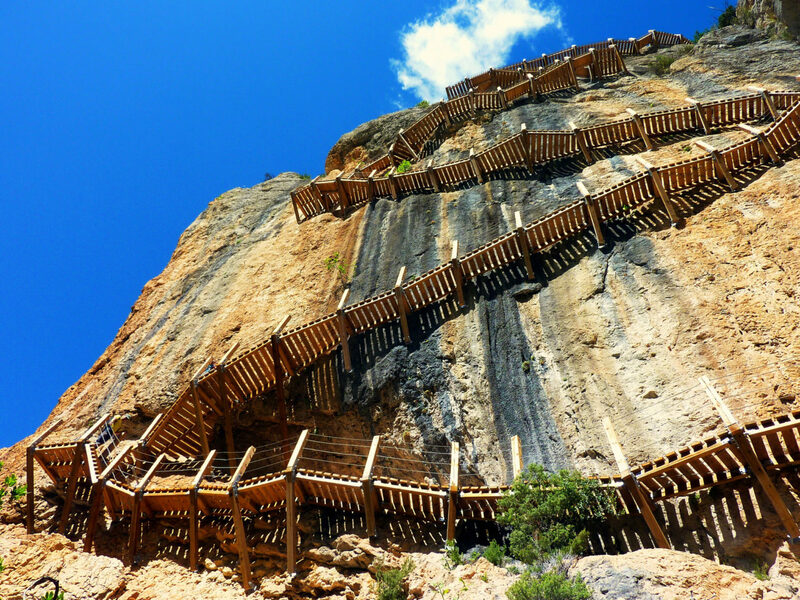 Right from the start we will find handrails on the side of the rock, which give security to the traveler, and wooden benches, arranged as viewpoints, anchored on the cliff. The road is carved into the compact limestone, eventually forming a tunnel. You will not know which perspective to choose for your audiovisual project. It is located on the hillside above the road, the ascent is somewhat complicated to make an audiovisual production or photographic shooting. To get there you have to climb a steep slope equipped with chains and small clips (via ferrata). The climb is worth it, the view from the entrance of the cave is a little bit dizzying, but beautiful. 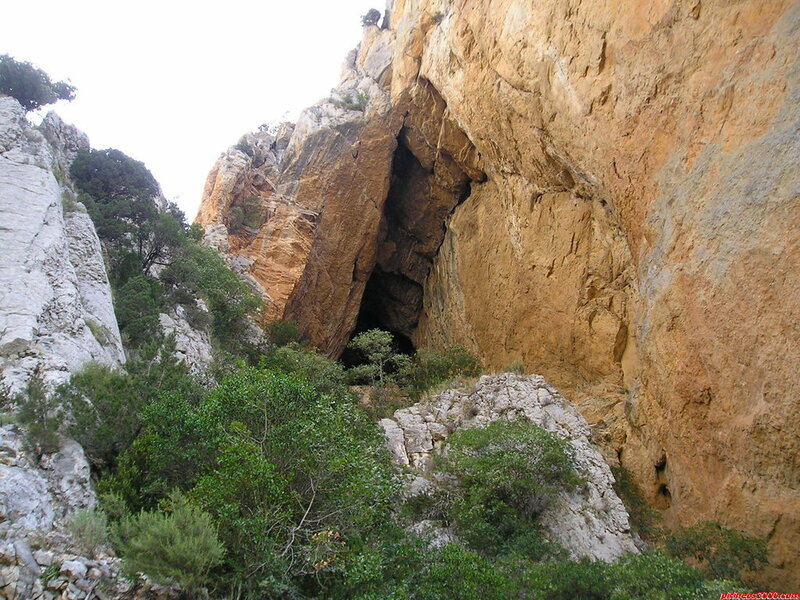 Once inside, you can explore the cave. Although you will add 1 km to the route, it is worth getting there for two reasons: the first, the views of the Congost from that point and the second, you can go down (and go back up) on some steep wooden stairs that cross the rock vertically. 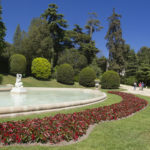 Another of the locations that you can not miss in this route for your audiovisual project. 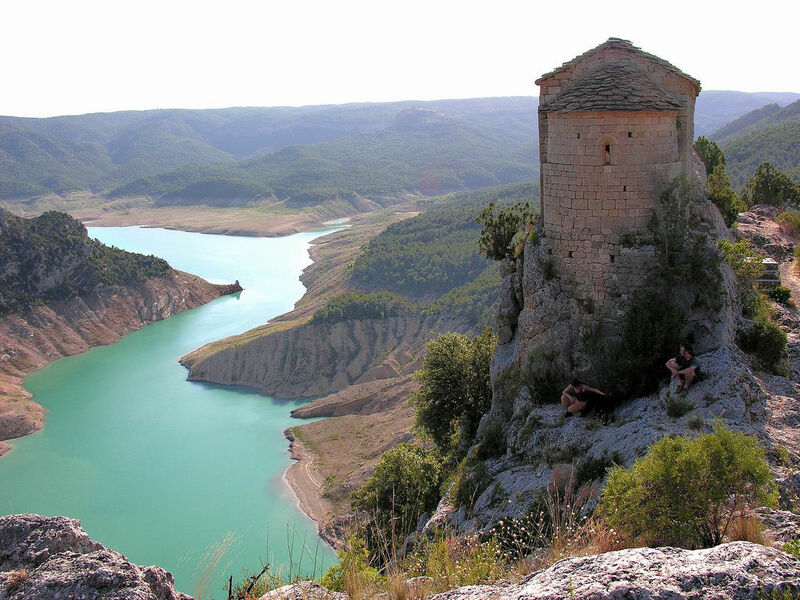 The reservoir collects the waters of the Noguera-Ribagorzana River and those of the Guart River. 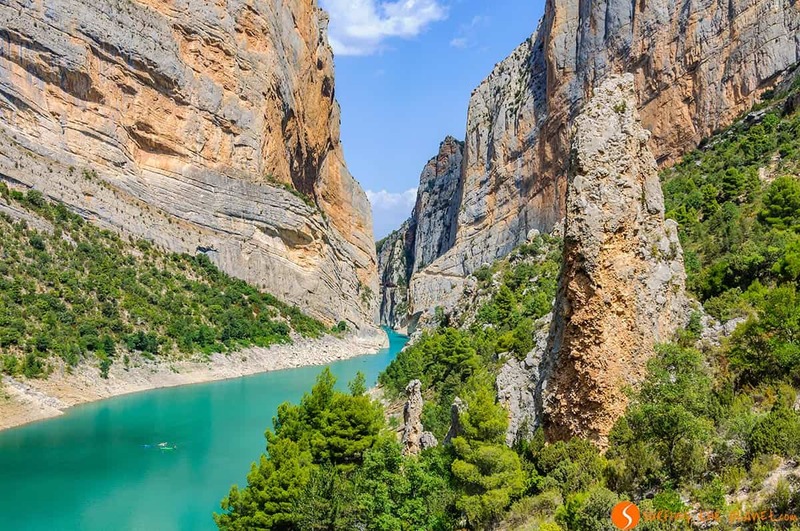 The main use of the reservoir is the production of electrical energy, navigation and baths are allowed although the practice of these activities is limited by the lack of accessible areas. Water and tranquility for a photographic shooting or audiovisual production of the most natural. It is located on the north slope of the gorge of Mont-rebei. 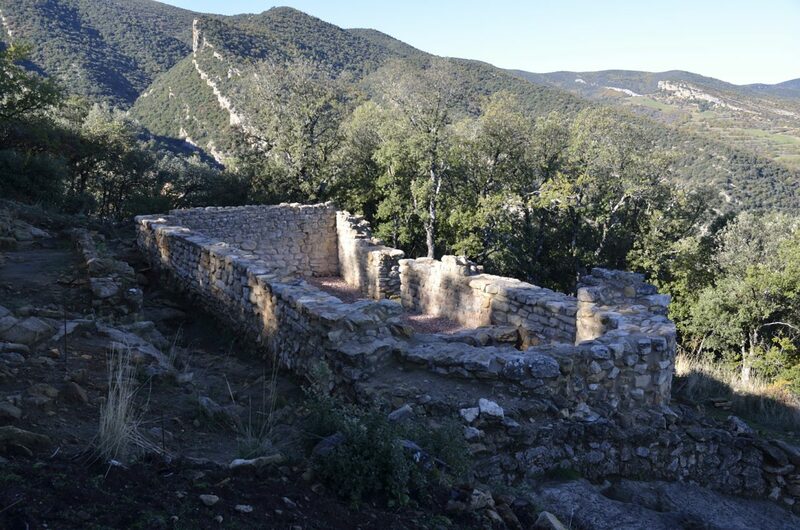 This pre-Romanesque site is from a little-known period of our history, from the fifth to the ninth century, between antiquity and the middle ages. The site is formed by a village and a hermitage that remembers Machu Picchu. Surely you can take advantage of the several perspectives in your audiovisual project.